1.1 Every Born-Again Christian Has at Least One Spiritual Gift. Every born-again believer in Jesus Christ has received a spiritual gift from the Lord Jesus Christ (1 Corinthians 12:4-11, page 1796). Please recall also that one spiritual gift may have a variety of ministries (“διακονιῶν”), with a variety of spiritual effects (1 Corinthians 12:4-7, page 1796). Therefore, if you have the Spiritual Gift of Teachingr, that single gift may result in a variety of ministries and spiritual effects. 1.2 Teaching Defined. We may read about the teaching of Jesus in the synagogues of Galilee (Matthew 4:23, page 1506). Jesus was teaching (“διδάσκων”), proclaiming (“κηρύσσων“) the gospel of the kingdom, and healing (“θεραπεύων”) every kind of disease (“πᾶσαν νόσον”) and every kind of illness (“πᾶσαν μαλακίαν“) among the people (see also Matthew 9:35). Very often miracles accompanied the teaching of Jesus and the apostles. Teaching means that you are stating and explaining truth (John 17:17, page 1690). Teaching does not include providing revelation, but teaching involves explaining the revelation of God already provided in the Bible. For example, consider the prophets and teachers at Antioch who worked side by side (Acts 13:1, page 1724).The Spiritual Gifts of the Word of Wisdom, the Word of Knowledge, and Prophecy all include new revelation from God. Not every believer has The Spiritual Gift of prophecy, because the Holy Spirit distributes the spiritual gifts as He desires (1 Corinthians 12:29, page 1797). Yet, every believer has an obligation to teach others (Hebrews 5:12, page 1874; Matthew 28:20, page 1557). Believers should be cautious about accepting any teaching position within the church, knowing that teachers incur a stricter judgment (James 3:1, page 1890). The believer with The Spiritual Gift of Teaching explains and applies the revelation already provided. Preaching means the proclaiming of God’s truth and a call to action. Because preaching and teaching do not necessarily involve new revelation, they are not revelatory gifts. 1.3 Preaching and Teaching In the New Testament, Paul revealed that God appointed him as a preacher (“κῆρυξ“), a teacher (“διδάσκαλος”) and an apostle (“ἀπόστολος”)(1 Timothy 1:11, page 1861; 1 Corinthians 12:28, page 1797; Ephesians 4:11, page 1830). The difference between a preacher and a teacher may not always be obvious, because they often go hand in hand (see Acts 28:30-31, page 1757). The word “preacher” (“κῆρυξ“) describes a person who heralds, proclaims, announces, and states. Preaching may include urging, comforting, and many other elements, but it focuses upon the proclamation of the truth of God and often a call to action. For example, “Repent, for the kingdom of God is at hand” (Matthew 3:1-2, pages 1503-1504). Although God calls people to preaching ministries, the Bible does not describe preaching as a spiritual gift. Teaching involves the explanation and application of God’s revelation. As we will see below, teaching must be done by all disciples to make more disciples (Matthew 28:18-20, page 1557), but not all believers have The Spiritual Gift of Teaching (1 Corinthians 12:29, page 1797). 2.1 Teaching with Authority. Unlike the religious teachers (Pharisees, Sadduccees, and scribes), Jesus was teaching (“διδάσκων”) with authority (“ἐξουσίαν”) (Matthew 7:28-29, page 1512; Mark 1:22, page 1558; Luke 4:32, page 1603). Even at the age of twelve, Jesus sat in the temple in the midst of teachers, both listening to them and asking them questions; all who heard him were amazed at His understanding and His answers (Luke 2:46, page 1599). Teaching with the authority of God distinguishes The Spiritual Gift of Teaching. When the Holy Spirit indwells a believer with The Spiritual Gift of Teaching, then the Holy Spirit uses the revelation of God in the Word of God, the Bible, to produce authoritative teaching. To the degree the believer teaches accurately the Bible, then the authority of God undergirds the teaching. The authority is never the believer doing the teaching, but rather God using the Bible and the lips of the teaching-gifted believer to teach the Bible with its inherent authority. 2.2 Call No Man Teacher. Jesus commanded believers never to call anyone “teacher,” except Jesus Himself (Matthew 23:8–Jesus prohibited calling anyone “Rabbi,” and then explained that believers have only one teacher (“διδάσκαλος“), and all His disciples are brothers; see also Luke 3:12, page 1600; The Pastoral Heresy). In fact, Jesus warned His disciples to beware the scribes who like to walk around in long robes, and like respectful greetings in the market places, and the chief seats in the synagogues and places of honor at banquets, but devour widow’s houses, and for appearance sake offer long prayers (Mark 11:38-39, page 1583). Jesus likened the teaching of the Pharisees and Sadducees to leaven, which meant that their evil spread to all who followed their practices (Matthew 16:12, pages 1529-1530; Matthew 23:1-39, pages 1542-1544). 2.3 Jesus Addressed as Teacher. Jesus Himself was addressed as teacher (“Διδάσκαλε”) by a scribe wishing to follow Him (Matthew 8:19, page 1513); by other scribes and Pharisees seeking a sign from Him (Matthew 12:38, page 1521); by a rich young ruler seeking to obtain eternal life (Matthew 19:16, page 1535; Mark 10:17, page 1577; Mark 10:20, page 1578; Luke 18:18, notice the title “Good Teacher” (“Διδάσκαλε ἀγαθέ“), by some Pharisees and Herodians testing Jesus about paying taxes to Caesar “Teacher (“Διδάσκαλε”), we know that You are truthful and teach the way of God in truth, and defer to no one; for You are not partial to any”) (Matthew 22:16, page 1541; Mark 12:14, page 1582; Luke 20:21, page 1641; ), by Sadducees regarding the resurrection (Matthew 22:24, page 1541; Mark 12:19, page 1582; Luke 20:28, page 1641), by a lawyer regarding the greatest commandment in the Law (Matthew 22:36, page 1542; Luke 10:25, page 1619; Mark 12:32, page 1583); by His disciples as Jesus slept during the storm on the sea (Mark 4:38, page 1565); by a man with a demon-possessed son (Mark 9:17, page 1575; Luke 9:38, page 1616); by John, the son of Zebede, regarding someone casting out demons in the name of Jesus (Mark 9:38, page 1576); by James and John, the sons of Zebedee, seeking the best seats in the Kingdom of God (Mark 10:35, page 1578); by a scribe not far from the kingdom of heaven (Mark 12:32-34, page 1583); by one of His disciples concerning the beauty of the stones and buildings (Mark 13:1, page 1584; Luke 21:7, pages 1647-1648); by Simon who invited Jesus to dine with him (Luke 7:40, page 1611); by one of the lawyers feeling insulted by Jesus (Luke 11:45, page 1623); by a person seeking his brother to divide the inheritance with him (Luke 12:13, page 1624); by some Pharisees commanding Jesus to rebuke the whole crowd of His disciples, shouting “Blessed is the King who comes in the name of the LORD” (Luke 19:39, page 1639); by some scribes saying Jesus had spoken well regarding the resurrection (Luke 20:27, page 1642); by two of the disciples of John as they followed Jesus (John 1:38, page 1655); by the people who had caught the woman in the very act of adultery (John 8:4, page 1670); by Mary at the empty tomb (John 20;16, page 1696). Luke described his Gospel as an account of all that Jesus began to do and teach (Acts 1:1, page 1699). 2.4 The Father Taught Jesus. Jesus proclaimed that His teaching was not His own (John 7:16-18, page 1668), but His Father taught (“ἐδίδαξέν“) Him what to say (John 8:28, page 1628). Jesus proclaimed that only those willing to do the will of His Father will know if the teaching of Jesus was of God or whether Jesus spoke from Himself. Jesus obeyed the Father by receiving the revelation from the Father and then teaching it to the people. At all times, Jesus was both fully human and fully God. As a man, Jesus did not know all things. As God, Jesus always knew all things. At times, Jesus spoke as a man; at other times, Jesus displayed His divine knowledge. Jesus was the perfect servant of Yahweh, as Isaiah described (Isaiah 53:1-13, pages 1154-1156). 2.5 Jesus and Parables. Jesus taught in parables because while seeing they do not see and while hearing, they do not hear. Jesus fulfilled the prophecy of Isaiah regarding the dull heart of Israel. In contrast, Jesus explained the mysteries of the kingdom of heaven to His disciples because it has been granted them to know those things. (Matthew 13:1-17, pages 1522-1523; Mark 4:1-12, pages 1562-1563). 3.1 Apostles Teaching. Jesus provided broad training to the apostles. Jesus first trained them to go into Israel and preach repentance and the Kingdom of God (Matthew 10:7, page 1516; Luke 10:9, page 1618; Mark 6:12, page 1568). Just before His ascension, Jesus sent the apostles out just as the Father sent Him into the world (John 20:21). Jesus also provided a specific geographical plan for the ministry of the apostles: Jerusalem, Judea, Samaria, and the whole world (Acts 1:8). He commanded them to stay in Jerusalem until power had come upon them. Shortly thereafter at Pentecost, the Holy Spirit descended upon them and filled them (see also John 7:39, page 1669). The apostolic preaching and teaching ministry then began in earnest. The early church devoted itself to the apostles’ teaching, and to fellowship, to the breaking of bread, and to prayer (Acts 2:42, page 1703). Not long after Christ ascended, Paul, born Saul of Tarsus, began his teaching ministry. He traveled over much of the Mediterranean region. At Athens, the Epicureans and Stoic philosophers wanted to hear more about his new teaching and took him to the Aeropagus, where he spoke about their altar to the unknown God; Paul proclaimed Jesus and His resurrection to them (Acts 17:16-34, pages 1734-1735). Later, Paul settled in Corinth for 18 months teaching (“διδάσκων”) the word of God among them (Acts 18:11, page 1736). Paul preached (“διδάσκων”) everywhere (“πανταχῇ”). Even in Rome, awaiting trial, Paul was preaching (“κηρύσσων”) the kingdom of God and teaching (“διδάσκων”) concerning the Lord Jesus Christ with all openness, unhindered (Acts 28:31, page 1757). Paul also challenged the teachers saying: “you, therefore, who teach (“διδάσκων“) another, do you teach yourself (“διδάσκεις”) (Romans 2:21, pages 1760-1761). Paul knew that his ministry of teaching would bring profit to the churches (1 Corinthians 14:6, page 1798). As he preached the word, he understood that he must be ready in season and out of season to reprove, rebuke, and exhort, doing all with great patience and instruction (“διδαχῇ”)(showing how “teaching” relates directly to preaching, reproof, rebuking, and exhorting)(2 Timothy 4:2, page 1864). 3.2 Apostles Today? When Jesus ascended to heaven, He left the office of apostle to be filled by twelve men, and only twelve men. Because Judas Iscariot had betrayed the Lord Jesus and died, the office of apostle required one member to fill it and Matthias was chosen. The office of apostle has passed away, because no one can fill that office today based on the requirements of the Bible (Acts 1:21-22, page 1700). Yet, Paul was an apostle, but never held the office of apostle. Others in the New Testament, like Barnabas, were called apostles, but Barnabas was not one of the twelve apostles holding the office of apostle. Paul and Barnabas, among others, received The Spiritual Gift of Apostle. In some ministries today, The Spiritual Gift of Apostle may still be present, although the office has passed away. All the apostles, however, had a special ministry of teaching the Bible, the word of God. For more information on apostles, click this link: The Spiritual Gift of Apostle. Holy Spirit Teaching. Jesus promised His disciples that He would send the Holy Spirit, Who would: (1) teach them all things; and (2) bring to their remembrance all that Jesus said to them (John 14:26, page 1685). This promise of divine recall will bless the disciples later. All believers can receive help from the Holy Spirit when they present a defense to tribunals, and also when they have a need to remember Scripture. A believer with The Spiritual Gift of Teaching may have a ministry of teaching all the things Jesus said, and to let believers know that the Holy Spirit will teach them all the tings they need to know (Matthew 28:20, page 557). His Anointing. The anointing (“τὸ χρῖσμα“) of Jesus taught believers about all things, and that anointing abides in believers (1 John 2:26, page 1906. Believers received the anointing from Jesus and it abides in every believer and teaches them about all things. Because of the anointing believers received from Jesus, they have no need for anyone to teach them (1 John 2:27, page 1906). The foundation of the anointing bears careful study for all believers. The anointing is true, and is not a lie. A believer with The Spiritual Gift of Teaching may have a ministry of teaching people about the anointing they received from Jesus and the anointing teaches them about all things. Mary Magdalene. Mary met Jesus at the empty tomb. Although she had spent time with Jesus, she did not immediately recognize Jesus. At the tomb, Jesus asked her why was she weeping and whom was she seeking. Mary did not recognize the voice at first, and asked where Jesus was taken, so that she could take Him away. Jesus then said: “Mary!” The single word caused Mary to turn and she recognized Jesus: “Rabboni!” Mary Magdalene then went and announced to the disciples that she had seen Jesus, and related the conversation with Jesus (John 20:1-18, pages 1685-1697). A believer with The Spiritual Gift of Teaching may have a ministry of declaring the resurrection of Jesus Christ and the eternal significance of that event, especially when coupled with personal testimony of salvation. Repentance. John the Baptist taught sinners to repent and to bear fruit in keeping with repentance. The tax-collectors and others in the crowd asked him: “Teacher, what shall we do?” The crowds recognized John the Baptist as a teacher (Luke 3:714, page 1600). He gave instruction about the fruit of repentance for tax-collectors, soldiers and the crowd at large. Although he did not have The Spiritual Gift of Teaching, John the Baptist taught people about true repentance and salvation. A believer with The Spiritual Gift of Teaching may have a ministry of not only proclaiming repentance and salvation, but also teaching people about bearing fruit in keeping with repentance. The King Has Come. Jesus gave His life a ransom for all. He lived as a man of sorrows, carrying our griefs. He was beaten, humiliated, and crucified. Yet, just a few days before His crucifixion, He rode into Jerusalem as the God King of this world. The crowds greeted Him and laid down their coats on the road. They shouted : “BLESSED IS THE KING WHO COMES IN THE NAME OF THE LORD; peace in heaven and glory in the highest.” Some Pharisees said to Jesus: “Teacher, rebuke your disciples.” Jesus replied that even the stones will cry out if the people become silent. Jesus then taught them that they had not known the things that make for peace. Those things had been hidden from their eyes. Their enemies will destroy the city and all the inhabitants, including their children, and will not leave one stone upon another. All of those things will come upon the people because they did not recognize the time of their visitation (Luke 19:28-44, pages 1639-1640). Jesus, the God King, had come, but they rejected Him. A believer with The Spiritual Gift of Teaching may have a ministry of teaching people about the God King, Jesus, and His many triumphs and the penalty for rejecting Him. Jesus as Lord. Just before Jesus died on the cross, He observed the Passover with His disciples. Jesus got up from the supper and washed the feet of His disciples. He then explained to them that they called Him Teacher and Lord, and they were right to do so. He gave them an example to follow. Jesus emphasized the the master will always be greater than the slave, and the sender greater than the one sent (John 13:5-20, pages 1682-1683). Jesus as Lord meant that even Jesus served His disciples, without sacrificing His Lordship. A believer with The Spiritual Gift of Teaching may have a ministry of teaching people that about the Lordship of Christ, and particularly about how being a servant fits with being Lord and Teacher. The Ways of Christ. Paul wrote to the Corinthians that Timothy would remind them of Paul’s “ways in Christ” (τὰς ὁδούς τὰς ἐν Χριστῷ)(1 Corinthians 4:17, page 1786). Timothy had spent significant time with Paul, learned the ways of Christ from Paul, and so could teach the Corinthians about the ways of Christ. A believer with The Spiritual Gift of Teaching may have a ministry of teaching the ways of Christ, including the application of the Scriptures to daily ways of living in Christ. Follow Me. One day a scribe came to Jesus and told Him: “Teacher, I will follow you wherever you go.” Jesus replied: “The foxes have holes and the birds of the air have nests, but the Son of Man has nowhere to lay His head” (Matthew 8:19-20, page 1513). Likewise, Jesus invited men to come and they would see where He was staying (John 1:38-39, page 1655). Jesus also taught His disciples that if anyone wanted to follow Him, then that person must deny himself, take up his cross and follow Jesus (Matthew 16:24, page 1530; Mark 8:34, page 1574; Luke 9:23, page 1616). A believer with The Spiritual Gift of Teaching may have a ministry of teaching believers how to deny themselves, take up their cross, and follow Jesus. 13.1 The Resurrection. The Sadducees taught there is no resurrection after death. They questioned Jesus about a woman married to seven men. They wanted to know who had her as a wife in the resurrection. Jesus replied that they were mistaken: they did not understand the Scriptures nor the power of God. In the resurrection, people neither marry nor are given in marriage. They should have known about the resurrection, because God spoke: “I AM THE GOD OF ABRAHAM, AND THE GOD OF ISAAC, AND THE GOD OF JACOB.” He is not the God of the dead, but of the living. The crowds were astonished at this teaching (Matthew 22:23-33, page 1541: Luke 20:27-40, pages 1641-1642). A believer with The Spiritual Gift of Teaching may have a ministry of teaching the glorious doctrine of resurrection, particularly to doubters. 13.2 Raising the Dead. A synagogue official named Jairus came to Jesus one day and implored Him earnestly to help his daughter at the point of death. Although messengers later came to Jairus informing him that his daughter had died while they were traveling to see her, Jesus taught Jairus about fear and faith. Jesus told Jairus not to fear, but only believe. Upon arrival at the house of Jairus, the crowds laughed at Jesus because He said the daughter only slept. They knew she was dead. Jesus then raised the daughter from the dead, and everyone was completely astounded (Mark 5:21-43, pages 1566-1567; see also Luke 7:11-17, pages 1609-1610). A believer with The Spiritual Gift of Teaching may have the ministry of teaching people about the resurrection, especially to those who scoff at the resurrection power of Jesus Christ. 13.3 Calling from the Dead. Jesus came to visit Mary, Martha and Lazarus, except that Lazarus had been dead for four days when Jesus arrived. Jesus had deliberately delayed His visit so that He people would see the glory of God and that the Son of God would be glorified by the resurrection of Lazarus. When Jesus arrived, Jesus first met Martha, and defined both resurrection (“he who believes in Me will live even if he dies”) and eternal life (“everyone who lives and believes in Me will never die”). In the midst of people grieving over death and lacking faith in the resurrection power of Jesus today, Jesus called forth Lazarus from the dead. Lazarus came forth, and Jesus commanded that Lazarus be unbound. Many believed because of that miracle. A believer with The Spiritual Gift of Teaching may have a ministry of teaching about the present power of Jesus to resurrect the dead, and to know Jesus as the source of eternal life and resurrection by faith alone. Jesus Cares. One evening, Jesus directed His disciples to go with Him to the other side of the Sea of Galilee. A fierce gale of wind arose, with waves breaking over the boat. The boat began to fill with water. Meanwhile, Jesus slept in the stern on a cushion. The disciples woke Him up: “Teacher, do you not care (“οὐ μέλει σοι“) that we are perishing?” (Mark 4:38, page 1565). Jesus arose and rebuked the the wind, and said to the sea, “Hush, be still.” The wind died down, and it became perfectly calm. Jesus then addressed the disciples: “Why are you afraid? Do you still have no faith?” They became very much afraid and said to one another, “Who then is this, that even the wind and the sea obey Him?” (Mark 4:35-41, page 1565). Notice in this passage the relationship between fear and faith. Jesus asked two questions, and those two questions revealed that the presence of fear exposes the absence of faith. The disciples feared the storm because they thought they were perishing. They did not have faith in the words of Jesus signalling their destination would be other side of the Sea, not the bottom of the Sea. They also did not believe that Jesus cared about them. A believer with The Spiritual Gift of Teaching may have a ministry of dealing with the fears of people with no faith. The disciples had some faith about Jesus being the Son of God, but they had no faith that He cared for them in the middle of the storm. They feared while they watched Him sleep through the storm without a drop of fear. They were not trusting Jesus to help them through all storms. They had not begun to trust the loving power of Jesus the Lord. He had the power: “Hush, be still.” The fear of death grips some people very tightly, but faith focused on the Person and Power of Jesus will remove fear every time. In the middle of storms, people of fear need to be taught about faith. 15.1 The Teacher Says. The disciples asked Jesus where they should prepare for Jesus to eat the Passover. He answered: “Go into the city to a certain man, and say to him, ‘The Teacher says, “My time is near; I am to keep the Passover at your house with my disciples. '” The disciples followed those instructions and prepared the Passover (Matthew 2617-19, page 1550; Mark 14:14, page 1586; Luke 22:7-13, pages 1644-1645). A believer with The Spiritual Gift of Teaching may have a ministry of preparing the way for Jesus by teaching people about the Name of Jesus. Invoking the Name of Jesus has strong Old Testament Roots. 15.2 The Name of the Lord. Jesus sent two of His disciples to find a certain colt and bring it to Him. He instructed those disciples to say: “If anyone asks you, ‘Why are you untying it?’ you shall say, ‘The Lord has need of it'” (Luke 19:28-35, page 1639; Mark 11:1-10, pages 1579-1580; Matthew 21:1-10, pages 1537-1538). A believer with The Spiritual Gift of Teaching may have a ministry of teaching people about the claim of the Lord Jesus upon their property for use in His purposes. 15.3 False Confidence. Not everyone who calls Jesus “Lord, Lord” will enter the kingdom of heaven. Only those people who do the will of the Father of Jesus Who is in heaven will enter the kingdom of heaven. Many will say to Jesus that they prophesied in His name, and cast out demons in His name, and did many miracles. Jesus will say to them, depart from Me; I never knew you who practice lawlessness (Matthew 7:21-23, page 1511; Acts 19:13-20, page 1738; Mark 9:38-41, page 1576; Matthew 24:24, page 1545). Good works, and even miraculous deceptions, will never produce salvation, for only saving faith leads to eternal life, which is to know both the Father and Son. A believer with The Spiritual Gift of Teaching may have a ministry of warning people that practicing lawlessness while claiming to act in the name of the Lord Jesus will not gain them entrance into the kingdom of heaven. Defense. Jesus prophesied to His disciples that they would be brought before synagogues and the rulers and the authorities. He commanded His disciples not to worry about how to defend or what they would say. He promised them that the Holy Spirit will teach them in that very hour what they ought to say (Luke 12:12, page 1624). Notice the teaching before the event happened. Jesus taught them that, in the future, at the moment of need before the tribunals, the Holy Spirit will teach (“διδάξε”) them what they ought to say (Luke 12:12, page 1624). A believer with The Spiritual Gift of Teaching may have a ministry of teaching people to rely upon the Holy Spirit to teach them what to say to defend their faith before tribunals. 17.1 Every Wind of Doctrine. God gave the spiritual gifts to the saints to equip the saints for the work of service. God intended to use the spiritual gifts to build up the Body of Christ. That process of building up would continue until the all the believers attain to the unity of the faith and the knowledge of the Son of God. As mature believers, they would attain to the stature that belongs to Christ. Spiritual believers are no longer tossed about and carried away by every wind of doctrine (“διδασκαλίας”), by the trickery of men, and by the craftiness of deceitful scheming. Instead, they speak the truth in love and the whole Body of Christ works properly (Ephesians 4:1-16, pages 1830-1831). All of those wonderful blessings take place when, and only when, believers use their spiritual gifts to build up the Body of Christ. A believer with The Spiritual Gift of Teaching may have a ministry of building up the Body of Christ by teaching believers how to know and use their spiritual gifts. 18.1 Loving God. A scribe recognized that Jesus had answered His religious opponents well. The scribe then asked Jesus what was the greatest commandment. Jesus answered: “YOU SHALL LOVE THE LORD YOUR GOD WITH ALL YOUR HEART, WITH ALL YOUR SOUL, AND WITH ALL YOUR MIND, AND WITH ALL YOUR STRENGTH.” Jesus then explained that the second commandment is to love your neighbor as yourself. No commandment was greater than these commandments. The scribe responded that Jesus had answered truly and added that those two commandments are much more important that all burnt offerings and sacrifices. Jesus saw that the scribe answered intelligently (“νουνεχῶς”), and Jesus told the scribe that he was not far from the kingdom of God. (Mark 12:28-34, page 1583). Jesus placed a heavy priority upon loving God and loving neighbors. A believer with The Spiritual Gift of Teaching may have a ministry of teaching people to love God and to love their neighbors as top priorities in life. 18.2 Loving Samaritans. Jesus revealed that loving God means that you love your neighbor also. A lawyer, putting Jesus to the test, questioned Jesus about loving neighbors. The lawyer, seeking to justify himself, asked: “And who is my neighbor?” Jesus then told the story of The Good Samaritan. A man was travelling on a road, beaten, robbed, stripped, and left wounded. A priest and a Levite passed by and did nothing to help him. A Samaritan came by, felt compassion for him, bound up his wounds, and took him to an inn, where he would be safe. The Samaritan also paid for his lodging. Jews and Samaritans had hated each other for many centuries and generally avoided personal contact. Jesus then asked the lawyer, “Which of these three do you think proved to be a neighbor to the man who fell into the robbers’ hands?” The lawyer replied: “The one who showed mercy toward him.” Then Jesus said to him: “Go and do the same” (Luke 10:25-37, pages 1619-1620). A believer with The Spiritual Gift of Teaching may have a ministry of teaching people seeking to justify themselves about the mercy of neighbors, who reflect the impartial love of God. 18.3 Forgiven Much, Loves Much. Simon the Pharisee requested that Jesus dine with him. After arriving at Simon’s home, a notorious sinner came to Jesus, anointed him with perfume and her tears, and was kissing His feet (see the free e-book: The Anointing of Jesus). Simon concluded wrongly that Jesus did not know the reputation of that woman. Actually, Jesus confronted Simon with a parable about debt forgiveness. Jesus asked if a debtor would be more grateful for being forgiven for five hundred or fifty denarii. Simon replied that the debtor forgiven five hundred would be more thankful. Jesus then explained that the woman had been forgiven much, and loved Him much. Simon had not anointed Him or washed His feet because Simon was self-righteous, and not forgiven (Luke 7:36-50, page 1611). A believer with The Spiritual Gift of Teaching may have a ministry of teaching people about being forgiven much and loving God much. Truth and Faith. As Paul requested prayer with thanksgiving for his ministry in Christ, Paul described the work of Jesus as Mediator between God and man. Giving testimony at the proper time about God’s desire to save all men and for them to come to a knowledge of the truth, Jesus gave Himself as a ransom for all men (1 Timothy 2:1-7, page 1855). Truth dominated the life and teaching of Jesus. Likewise, Paul called himself a teacher of the Gentiles in faith and truth. Faith without truth yields eternal damnation. Only by faith in the truth of God about salvation will anyone find eternal life. A believer with The Spiritual Gift of Teaching may have a ministry of teaching faith and truth about Jesus and God’s desire to bring all men to salvation and a knowledge of the truth. 20.1 Attention To Scripture. Paul emphasized that Timothy must give attention to the public reading of Scripture, to exhortation, and to teaching (1 Timothy 3:13, page 1857). The Scriptures not only supply the Gospel of Jesus Christ for salvation, but they also provide the knowledge of Jesus our Lord, whose divine power has granted to us everything pertaining to life and Godliness, through the true knowledge Him who called us by His own glory and excellence (2 Peter 1:2-3, page 1900). A believer with The Spiritual Gift of Teaching may have a ministry of teaching people to give attention to the Scriptures. 20.2 Pay Close Attention to Your Teaching. Paul also commanded Timothy to pay close attention (“ἔπεχε”) to himself and his teaching (1 Timothy 4:16, page 1857). Paul meant that they go hand in hand: who you are and what you teach relate directly to each other. You may be a hypocrite, like the Pharisees; or you may be sound in doctrine and sound in your walk with Christ, doing what He says. Today the doctrine of verbal and plenary inspiration of the Scriptures has come under serious attack by some Bible translators, some college and seminary teachers,some popular preachers, and by all kinds of people who claim to uphold the integrity of the Bible, but they claim the Bible does not contain a faithful record of the very words of Jesus. They also believe that God allowed many errors to creep into the Bible, so that it is not accurate historically, morally, or in other matters where it makes claims to truth. A believer with The Spiritual Gift of Teaching may have ministry of paying close attention to teaching, and particularly ensuring the integrity of sound doctrine and the truth of Scriptures. 20.3 Doctrine Not Blasphemed. Paul understood the relationship between doctrine and personal behavior. If you live a corrupt life and still try to teach sound doctrine, people may blaspheme the sound doctrine because of your evil behavior. Paul revealed that slaves must be in subjection to their masters, so that the name of God may not be blasphemed. (1 Timothy 6:1, page 1859; see also 1 Peter 2:18, page 1896). A believer with The Spiritual Gift of Teaching may have a ministry of ensuring that sound doctrine is not blasphemed because of the evil behavior of some teachers. 20.4 Godly Living. God uses sound doctrine to promote sound, Godly living. Only the doctrine which agrees with the sound words of Jesus Christ will produce doctrine conforming to Godliness (1 Timothy 6:3, page 1859; see also 2 Timothy 3:10-11, page 1863). Young men, especially, must show themselves to be an example in all things, with purity in doctrine and other Godly qualities (Titus 2:6-8, page 1866). A believer with The Spiritual Gift of Teaching may have a ministry of teaching believers how God uses sound doctrine to promote sound, Godly living. 20.5 Exhorting and Refuting Paul commanded Titus to exhort in sound doctrine and to refute those who contradict the same (Titus 1:9, page 1866; see also Titus 2:1, page 1866). A believer with The Spiritual Gift of Teaching may have a ministry of exhorting in sound doctrine and refuting those who contradict the same. 20.6 Good Servant of Jesus Christ. In pointing out to the brethren the need to follow the Scriptures, Paul told Timothy that he would be a good servant of Christ Jesus, and constantly nourished on the words of the faith and of the sound doctrine (“τῆς καλῆς διδασκαλίας“) which he had been following (1 Timothy 4:1-6, page 1857). A believer with The Spiritual Gift of Teaching may have a ministry of pointing out the need to follow the Scriptures, being constantly nourished upon the words of faith and of sound doctrine. 20.7 The Application of Scripture. God declared that He breathed out all Scripture. He made it for the purpose of teaching, reproof, for correction, for training in righteousness; so that the man of God may be adequate, equipped for every good work (2 Timothy 3:16, page 1864). Virtually every spiritual gift requires a knowledge and proper application of Scripture. Through the particular spiritual gift, God applies His inspired word for the benefit of people and the building up of the Body of Christ. A believer with The Spiritual Gift of Teaching may have a ministry of applying the Scriptures so that other believers may understand the inspiration of Scripture and God’s intended use of the Scriptures. 20.8 Ears Tickled. God emphasized that the time will come when people will not endure (“οὐκ ἀνέξονται“) sound doctrine (“ὑγιαινούσης διδασκαλίας“). Instead, they want to have their ears tickled . They will turn their ears away from truth and will turn aside to myths. They will accumulate teachers who will fulfill their desires for myths rather than truth (2 Timothy 4:3, page 1864). A believer with The Spiritual Gift of Teaching may have a ministry of teaching the truth to people who have had their ears tickled by false teachers. 21.1 Astonishing Wisdom. Jesus taught in the synagogue of Nazareth, His hometown. The congregation hearing Him were astonished at His teaching with wisdom and His miraculous powers (Matthew 13:54, page 1525; Mark 6:2, page 1567). Over time, the chief priests and scribes began seeking how to destroy Jesus, for they were afraid of Him (Mark 11:15-18, page 1580). They also feared that the Romans would come and they would lose their place and their nation (John 11:47-52, page 1679; John 18:14, page 1691). After questioning Jesus about His teaching, the high priest sent Jesus to Anas, bound and ready for delivery to the Roman governor, Pilate. The religious leaders handed over Jesus to the Romans because they were jealous of Him (Mark 15:10, page 1590). Please recall that The Spiritual Gift of the Word of Wisdom (a gift of new revelation) should not be confused with The Spiritual Gift of Teaching (a gift of teaching the Bible). A believer with The Spiritual Gift of Teaching may have a ministry of proclaiming truth with astonishing wisdom. 21.2 Never Educated. As Jesus taught in the temple, the Jews were astonished, saying, “How has this man become learned, having never been educated?” (John 7:15, page 1668). A believer with The Spiritual Gift of Teaching may have a ministry of teaching without having received formal and traditional education. 22.1 Amazing. Jesus went to Capernaum and entered the synagogue and began teaching (Mark 1:21, page 1558). He cast out a demon, and all the people were amazed (“ἐθαμβήθησαν ἅπαντες“), debating among themselves how Jesus brought new teaching (“διδαχὴ καινὴ“) with authority (“κατ’ ἐξουσίαν“). Even the unclean spirit obeyed Jesus (Mark 1:27, pages 1558-1559). A believer with The Spiritual Gift of Teaching may teach with the authority of God’s word. 22.2 The Question of John the Baptist. As Jesus was teaching in the temple one day, the chief priests and the elders of the people came to him and asked by what authority Jesus performed miracles and gave teaching, and who gave Him that authority. Jesus answered the question with a question: was the baptism of John the Baptist from heaven or from men? They pondered and knew they were in trouble with either answer. So they refused to answer. Jesus then declined to answer their question. He continued the discussion with them with the parable of the two sons, the parable of the landowner and the parable of the the wedding feast. In all those parables, Jesus directly confronted their own sin and offered them salvation (Matthew 21:23-22:14, pages 1539-1541; Luke 20:1-18, pages 1640-1641). A believer with The Spiritual Gift of Teacing may have a ministry to religious people to confront them with their own sinful pride and self-righteousness, while proclaiming the Gospel of Jesus Christ to them. 23.1 Precepts of Men. Jesus confronted some Pharisees and scribes concerning their sin. Jesus told them that they had transgressed the commandment of God (“τὴν ἐντολὴν τοῦ θεοῦ“) for the sake of their traditions (“παράδοσιν“). Those false teachers had created traditions that invalidated the Scriptures. They honored God with their lips, but their hearts were far away from God. They were teaching as doctrines (“διδασκαλίας “) the precepts of men (“ἐντάλματα ἀνθρώπων“)(Matthew 15:1-9. page 1527; Mark 7:1-13, pages 1570-1571). Teachers must distinguish between: (a) the commandments of God provided in the Scriptures; and (b) the precepts of men. Human opinions, traditions, and beliefs should never be taught as doctrine. All cults and many “Christian” groups frequently teach the traditions of their groups as doctrine, when it is actually the traditions of men. A believer with The Spiritual Gift of Teaching may have a ministry of teaching the difference between traditions of men and the commandments of God. 23.2 Commandments and Teaching of Men. Paul wrote the Colossians about people who acted as judge concerning food, drink, special days and festivals. They taught self-abasement and the worship of angels, but they were only standing upon fleshly visions, mere products of their fleshly minds. They did not hold on to Christ, the head of the Church. They sought to impose decrees of do not touch, do not taste, do not handle, which are the commandments and teaching of men, not God. Such matters appear to be wisdom, and teach the severe treatment of the body, but they have no value against fleshly indulgence (Colossians 2:16-23, pages 1843-1844). A believer with The Spiritual Gift of Teaching may have a ministry of teaching people to avoid letting other people sit as judge upon their food, drink and the observance of special days and festivals. Furthermore, believers must be taught to avoid people teaching self-abasement and the worship of angels, because those false teachers stand only upon fleshly visions, and not any revelation from God. The Call of Levi. Jesus went to a tax collector’s booth. The Jews generally hated the tax collectors because they worked for Rome, the enemy occupiers, and they often collected more tax than people owed; they became rich by charging too much tax, and everyone knew it. Jesus openly visited the tax-collector’s booth, and called Levi, also known as Matthew, sitting in the that booth. Everyone who paid their taxes to Matthew knew that Jesus had just done something very unusual and unpopular. Matthew got up and followed Jesus. Jesus went to his home and met many tax collectors and sinners who came and dined with Jesus. The Pharisees did not understand why Jesus was eating with tax collectors and sinners. Jesus explained to them that the healthy do not need a physician, but those who are sick. He then told the Pharisees to go and learn what it means that God desires compassion, and not sacrifice, for Jesus did not come to call the righteous, but sinners (Matthew 9:9-13, page 1514). A believer with The Spiritual Gift of Teaching may have a ministry of sharing the Gospel of Jesus Christ with tax-collectors and sinners, and simultaneously teaching others, particularly the self-righteous, that God calls the sinners, not the self-righteous, to salvation in Jesus Christ. 25.1 Jesus Traveled. Jesus taught throughout the villages and cities, and openly in the world, in the areas of Judea, Galilee and Jerusalem, and with a brief ministry in Sychar of Samaria (John 18:20,page 1691; Matthew 11:1, page 1518). Jesus was teaching (“διδάσκων”) in the temple at Jerusalem (Matthew 26:55, page 1552; Mark 12:35, page 1583; Mark 14:49, page 1588; Luke 19:47, page 1640; Luke 21:37, page 1644; John 7:28, page 1669); and in the treasury inside the temple (John 8:20, page 1671); in the synagogues (Galilee, Luke 4:15, page 1602; Nazareth, pursuant to His custom, Luke 4:16, page 1602); Capernaum (Luke 4:31-36, page 1603; John 6:59, page 1667; Mark 1:21, page 1558); in the wilderness and on the mountain (Mark 6:6, page 1567); and in the cities and villages, even as He traveled (Matthew 9:35, page1515; Luke 13:22, page 1628). Jesus taught all over Judea, starting from Galilee to Jerusalem (Luke 23:5, page 1648). He taught in the synagogues, in the temple, and by the sea, and in the wilderness. Jesus used travel not only to spread the Gospel to the cities and villages of Israel, but He also proclaimed the Good News beyond Israel and to Samaritans and to Gentiles (Matthew 15:21-28, Syrophonecian woman; John 4:1-42, pages 1659-1661, Samaritan woman). A believer with the Spiritual Gift of Teaching may have a ministry of teaching and preaching by traveling throughout a geographical area, with different ethnic and religious backgrounds. 25.2 People Traveled To Hear Jesus. At least once, Pharisees and teachers of the law came from every village of Galilee and Judea and from Jerusalem to observe Jesus in a home in Capernaum (Luke 5:17, page 1604; Mark 2:1-12, pages 1559-1560). Large crowds from Galilee, the Decapolis and Jerusalem, and Judea and from beyond the Jordan followed Jesus (Matthew 5:25, page 1506). A believer with The Spiritual Gift of Teaching may face large crowds, that have traveled a long way to hear the teaching. In fact, some in the crowd may have come just to trap or condemn the teacher. 25.3 The Apostles Traveled. Not long after Jesus chose His disciples, they began to travel to other cities and villages, proclaiming that men should repent (Mark 6:7-13, pages 1567-1568; Mark 6:30, page 1569). A believer with the Spiritual Gift of Teaching may have a ministry of teaching in a specific geographic area about the need for repentance and salvation. 26.1 Antioch. The persecution of Christians arising after the death of Stephen promoted the dispersion of believers into various areas. Some of those believers brought the Gospel of Jesus Christ to the Gentiles at Antioch. The church there grew dramatically, with great things happening. The church at Jerusalem sent trusted Barnabas to see what was going on at Antioch. Barnabas labored there, and then brought Saul (later called Paul) from Tarsus to use his spiritual gift there and join the ministry team. Paul and Barnabas, with others, ministered together in Antioch for an entire year (Acts 11:19-26, page 1722). From Antioch, the Holy Spirit sent out Paul and Barnabas on their first missionary journey. After completing the journey, they returned to Antioch and reported on the Lord’s work (Acts 13:1-14:28, pages 1724-1728). Antioch became a home base for great spiritual activity, where Paul and Barnabas continued their preaching and teaching after the Jerusalem Council (Acts 15:1-35, pages 1728-1730). A believer with The Spiritual Gift of Teaching may have a ministry of establishing a home base, like Antioch, for greater teaching, making disciples, and sending out missionaries. 26.2 Ephesus. Paul found some disciples at Ephesus, but they had only received the baptism of John the Baptist. Paul explained to them about believing in Jesus, and they were baptized in the name of the Lord Jesus. Then they began speaking in tongues. The congregation of the church at Ephesus began with twelve men. Paul spent three months in Ephesus teaching in the synagogue about the kingdom of God. Opposition arose in the synagogue, and he withdrew to the school of Tyrannus, so that for two years, all who lived in Asia heard the word of the Lord, both Jews and Greeks. Paul performed great work, teaching publicly and from house to house, so that the word of the Lord was growing mightily and prevailing against evil (Acts 19:1-20, pages 1737-1738; Acts 20:17-38, page 1741). A believer with The Spiritual Gift of Teaching may have a ministry of proclaiming the Lord Jesus, discipling a small group of men for a few years, overcome opposition, so that from one small group an entire region may hear the word of the Lord. Crowds. Jesus had crowds (“ὁ ὄχλος“) of people coming to Him (Mark 2:13, page 1560). According to the custom (“εἰώθει”) of Jesus, He taught the crowds when they gathered around Him (Mark 10:1, page 1577). Jesus also taught in the temple, where crowds gathered to Him (John 8:2, page 1670). Jesus gave the Sermon on the Mount, one of His most famous sermons, to a crowd (Matthew 5:2, page 1506). A believer with The Spiritual Gift of Teaching may teach crowds of people. Seaside Sermons. Jesus preached at the seaside (Mark 2:13, page 1560). At times, He preached from a boat to a crowd on the seashore (Luke 5:3, page 1604; Mark 4:1, page 1563). A believer with The Spiritual Gift of Teaching may have a seaside ministry of teaching. 29.1 Lay Aside. Paul emphasized that he taught the Ephesians that they lay aside (“ἀποθέσθαι”) their former manner of life which is being corrupted in accordance with the lusts of deceit (Ephesians 4:21-22, page 1831). A believer with The Spiritual Gift of Teaching may have a ministry of teaching the truth in Jesus that every believer must obey the command to lay aside the former manner of life. 29.2 Renewed. Paul also taught that every believer must be renewed (“ἀνανεοῦσθα”) in the spirit of their mind (Ephesians 4:23, page 1831). A believer with The Spiritual Gift of Teaching may have a ministry of teaching believers how to be renewed in the spirit of their mind. 30.1 Firmly Rooted. Paul explained to the Colossians that believers must walk worthy of the Lord Jesus after their conversion (Colossians 2:6, page 1843). Part of that worthy walk includes being firmly rooted (“ἐρριζωμένοι “) in Christ. A believer with The Spiritual Gift of Teaching may have a ministry of helping believers walk worthy of the Lord Jesus by being firmly rooted in Christ. 30.2 Established in Your Faith. Paul taught that all believers must be discipled, and established in their faith (“βεβαιούμενοι τῇ πίστει“). Paul linked basic teaching with being firmly rooted and established in the Christian faith. Without sound teaching, the believer will not mature and grow in Christ. A believer with The Spiritual Gift of Teaching may have a ministry of helping believers become established in their faith. Elementary Things. The audience of the Book of Hebrews consisted of believers and unbelievers. Some of the believers had not matured in their faith. Instead of being ready teachers, they needed for someone to teach them again the oracles of God (Hebrews 5:12, page 1874). They had never moved beyond the foundation of repentance from dead works and of faith toward God, of instructions about washings and laying on of hands, and the resurrection of the dead, and eternal judgment (Hebrews 6:1-2, page 1874). Paul urged those backward believers to press on to maturity. A believer with The Spiritual Gift of Teaching may have a ministry to slothful believers of grounding them in the foundations of Christian doctrine and teaching them to press on to maturity in Christ. Standing Firm. Paul instructed the Thessalonians to “stand firm” (“στήκετε”) and “hold to the traditions” (“κρατεῖτε τὰς παραδόσεις “) which they were taught (2 Thessalonians 2: 15, page 1853). With proper teaching, believers may stand upon those traditions which they were taught according to Scripture. A believer with The Spiritual Gift of Teaching may have a ministry of helping believers learn the traditions from Scripture that will help them stand firm upon those traditions. Likewise, a believer with The Spiritual Gift of Teaching may have a ministry of teaching believers how to stand firm upon those previous teachings. 32.1 Encouragement of the Scriptures God preserved Scripture so that believers may read what happened in earlier times. Those historical accounts in the Scripture provide accurate accounts that God preserved for a particular purpose. God purposed that those Scriptures written in earlier times would bring hope today. That hope comes from the perseverance and the encouragement of the Scriptures written earlier. By reading the Scriptures, God gives perseverance and encouragement to be of the same mind with one another according to Christ Jesus, so that with one accord believers may glorify the God and Father of our Lord Jesus Christ (Romans 15:4, page 1778; see also 1 John 1:1-4, page 1904). A believer with The Spiritual Gift of Teaching may have a ministry of building hope and encouragement based upon the Scriptures, bringing unity in the Body of Christ. 32.2 No Craving. God also preserved the Scriptures so that the things which happened previously with fathers of Israel; God was not please d with many of them during the time of Moses. Those things happened as examples for believers today so that believers would not crave evil things as they also craved (“ἐπεθύμησαν”). By learning and applying the truths of Scripture, especially by understanding the cravings of idolatry, we will avoid immorality and grumbling against God. We face the same temptations earlier generations faced, but God always provides a way of escape, so that we will be able to endure temptation (1 Corinthians 10:13, page 1793). A believer with The Spiritual Gift of Teaching may have a ministry of teaching the Bible, and emphasizing the prior experiences of people in the Old Testament, so that believers today may learn to avoid craving evil things, and falling into immorality and grumbling against God. 33.1 John the Baptist and Prayer. John the Baptist taught his disciples how to pray (Luke 11:1, page 1620). As a part of making disciples, a believer with the Spiritual Gift of Teaching may teach disciples of Jesus Christ to pray. 33.2 Jesus and Prayer. The disciples of Jesus, at least two of which were first disciples of John the Baptist, asked Jesus to teach them to pray (Luke 11:1-13, pages 1620-1621). Jesus provided careful teaching on prayer, including teaching about the loving Father giving good gifts. Yet, believers do not completely know how to pray, and so must rely upon the ministry of the Holy Spirit as we pray (Romans 8:26, page 1769). A believer with the Spiritual Gift of Teaching may spend considerable time teaching disciples how to pray and how to understand the ministry of the Holy Spirit in our prayer lives. Crying Out. At times, Jesus used a loud voice to cry out (“ἔκραξεν”), as He did in the temple at Jerusalem. Jesus proclaimed loudly that people knew Him and where He came from, but they did not know His Father, Who sent Jesus and is true (John 7:28-29, page 1669). A believer with The Spiritual Gift of Teaching may have a ministry of loudly proclaiming the truths of God about Jesus Christ and the reasons that God sent Him to earth. Jail. The High Priest and the Sadducees jailed the apostles for their teaching about Jesus and their refusal to obey men. The religious leaders commanded the apostles to stop teaching in the name of Jesus (Act 4:18, page 1705; Acts 5:12-21, pages 1707-1708). During the night, an angel opened the prison gates and directed the apostles to go to the temple and speak to the people the whole message of this life (Acts 5:19, pages 1708). At daybreak, those apostles entered the temple and began to teach, and kept right on teaching, even after being flogged and warned again against such teaching and preaching (Acts 5:17-42, pages 1707-1709). A believer with The Spiritual Gift of Teaching may teach the whole message of this life even after imprisonment and threats aimed at stopping the teaching. 37.1 The Impartial Jesus. Jesus taught the truth of God with impartiality. Three points deserve attention here in Matthew 22:16, page 1541. 37.1.1 Truthful. Jesus Had a reputation for being truthful (“ἀληθὴς”). Even His enemies recognized His reputation for being truthful, even if they thought personally that He was a liar. A believer with The Spiritual Gift of Teaching must have a ministry of being truthful in all things. 37.1.2 Teach the Way of God. Jesus had a reputation that He “taught the way of God in truth” (“διδάσκεις”). Notice the connection between His personal reputation for truthfulness, and His reputation for teaching the “way of God” in truth. The personal reputation for truth harmonizes with the teaching of God in truth. Teaching and person testimony must go hand in hand. A believer with The Spiritual Gift of Teaching must have a reputation for teaching the way of God in truth and teaching others the importance of harmonizing your personal reputation for truth with teaching the Scriptures. 37.1.3 Defer to No One. Jesus also had a reputation for deferring to no one (“οὐ μέλει σοι περὶ οὐδενός“). Jesus had no worries about what anyone thought about Him or His teaching, because He knew He taught the Word of God in truth. A believer with a The Spiritual Gift of Teaching must have a reputation for deferring to no one, because He teaches the way of God in truth, which supersedes all things. 37.1.4 You Are Not Partial to Any. Jesus had a reputation for impartiality. His enemies observed: “for You are not partial to any (“οὐ γὰρ βλέπεις εἰς πρόσωπον ἀνθρώπων“).” Jesus had a reputation for impartiality because of His truthfulness and His teachings of the ways of God. He did not play favorites with anyone or any group. Jesus deferred to no one (“βλέπεις εἰς πρόσωπον“). He was no respecter of persons (Matthew 22:16, page 1541). A believer with The Spiritual Gift of Teaching must have a ministry of impartiality, deferring to no one, and avoiding preference based upon appearance. 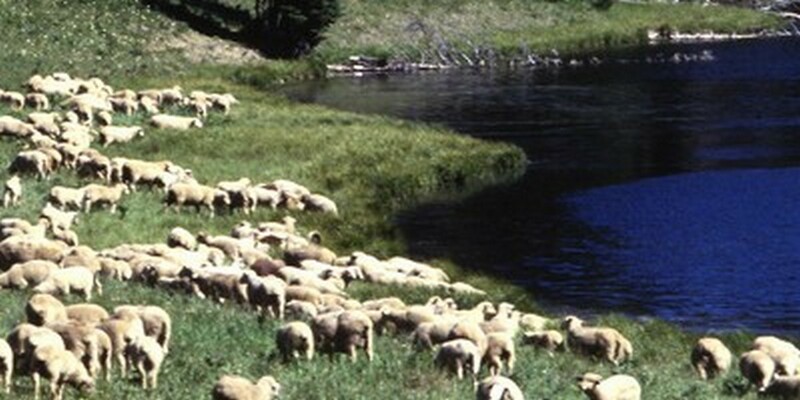 The Sheep. Jesus looked upon a crowd and described them as sheep without a shepherd. Jesus then taught them many things because He felt compassion for them (Mark 6:34, page 1569). A believer with The Spiritual Gift of Teaching may have great compassion for people and crowds, viewing them as sheep without a shepherd, and teach them. Not Based upon Appearance. Jesus amazed people with His teaching. Some even expressed astonishment: “How has this man become learned, having never been educated?” Jesus replied that His teaching was not His, but His Who sent Him. Jesus also explained that only people willing to do the will of God will know whether the teaching of Jesus is from God or whether He speaks of Himself. Jesus was not seeking His own glory, but rather the glory of Him who sent Jesus. One day a crowd marveled because Jesus healed on the Sabbath. Some religious leaders also sought to kill Jesus for healing on the Sabbath. Jesus confronted those evil religious leaders by showing that they circumcised their children on the Sabbath, and yet they were angry with Him for making an entire man well on the Sabbath. Jesus warned them not to judge by appearance, but judge with righteous judgment (John 7:14-24, page 1668). People need to learn to judge with righteous judgment, and not to criticize Jesus who is the Righteous Judge. A believer with The Spiritual Gift of Teaching may have a ministry of teaching people to stop judging by appearance, but rather to judge in righteousness, based upon the Scriptures. 40.2 Olive Tree. Paul also used the term “nature” to describe the natural growth of an olive tree. He used a grafting analogy with an olive tree to contrast the grafting of “natural” (cultivated) olive branches and against grafting of wild olive branches (1 Corinthians 11:14, page Romans 11:24, page 1774). A believer with The Spiritual Gift of Teaching may have a ministry of explaining theological truths using analogies from nature. Truth and Faith. Paul explained that believers were once slaves of sin, but they became obedient from the heart to that form of teaching to which they were committed, and, having been freed from sin, they became slaves of righteousness (Romans 6:15-19, page 1766). A believer with The Spiritual Gift of Teaching may have a ministry of teaching people how to overcome the weakness of their flesh, and live in triumph as slaves of Jesus Christ, through obedience to the teachings of Jesus Christ. 42.1 Slaves and Masters. Born-again slaves must serve their masters and regard those masters as worthy of all honor, so that the name of God and Christian doctrine would not be spoken against. Paul instructed Timothy to preach and teach those principles (1 Timothy 6:1-2, page 1859; see also 1 Peter 2:18, page 1856). A believer with The Spiritual Gift of Teaching may have a ministry of instructing slaves, soldiers, employees, or others in a position of submission to authority, how to serve those masters as worthy of all honor. 42.2 Purity of Doctrine. Bond-slaves must be subject to their own masters in everything, to be well-pleasing, not argumentative, not pilfering, but showing good faith so that they will adorn the doctrine of God our Savior in every respect (Titus 2:9-11, page 1866). Godly doctrine must always wear the clothes of Godly actions. We live our doctrine by how we act each day, all day. A believer with The Spiritual Gift of Teaching may have a ministry of instructing slaves, soldiers, employees, or others to adorn the doctrine of God with their good behavior– no pilfering, not argumentative, always showing good faith. 43.1 Making Disciples. Jesus invited Andrew and another disciple of John the Baptist to “Come and you will see.” Those people came and followed Jesus for a lifetime. Andrew in turn found others (John 1:35-51, pages 1655-1656). Jesus commanded believers to make disciples in all the world, baptizing them in the name of the Father, Son and Holy Spirit and teaching them to observe all that He commanded (Matthew 28:19-20, page 1557). Discipleship involves one believer teaching another believer the commands of Christ and how to live in the presence of Christ each day. A disciple will never be above his teacher; it is enough if the disciple become like his teacher when fully trained (Matthew 10:24-25, page 1517: Luke 6:40, page 1608). A believer with The Spiritual Gift of Teaching may have a ministry of teaching other believers the commands of Christ, within the greater context of making disciples in all the world. 43.2 Multiplying Disciples. Paul commanded Timothy to entrust the things Timothy had heard from Paul to faithful men, who will be able to teach others also (2 Timothy 2:2, page 1862). A believer with The Spiritual Gift of Teaching may have a ministry of teaching all that Paul taught (Christ revealed to Him great truths) with a view of entrusting the message of God to other believers who will teach others also (a ministry of multiplication). 44.1 Complete in Christ. Paul proclaimed (“καταγγέλλομεν”), admonishing (“νουθετοῦντες”) and teaching (” διδάσκοντες“) every man with all wisdom, so that he may present every man complete in Christ (Colossians 1:28, page 1842). A believer with The Spiritual Gift of Teaching may have a ministry of teaching with all wisdom, so that every man my be presented as complete in Christ. 44.2 Christ Richly Dwelling. Paul also commanded the Colossians to let the peace of Christ rule in their hearts and the word of Christ richly dwell within them. He elaborated that the believers must with all wisdom be teaching and admonishing one another with psalms and hymns and spiritual song, singing with thankfulness in their hearts to God (Colossians 3:15-16, page 1844; 1 Corinthians 14:26, page 1799). A believer with The Spiritual Gift of Teaching may have a ministry of teaching other believers how to teach and admonish one another with psalms, hymns and spiritual songs. 45.1 Seeking signs. Some of the scribes and Pharisees demanded a sign from Jesus. Jesus replied that they were an evil and adulterous generation craving a sign. He then explained that they would be given the sign of Jonah the prophet (Matthew 12:38-42, page 1521). A believer with The Spiritual Gift of Teaching may have a ministry of explaining signs concerning Jesus Christ. 45.2 False Signs and Wonders. In the future, false Christs and false prophets will show great signs and wonders, so as to mislead, if possible, even the elect (Matthew 24:21-28, page 1545; see also Matthew 7:22, page 1511). Mature believers must test the spirits, evaluate everything carefully, know and apply the Scriptures, and teach others about sound doctrine and identify false Christs and false prophets. A believer with The Spiritual Gift of Teaching may have a ministry of identifying false Christs and false prophets, along with their great signs and wonders, so that the elect will not be deceived. This ministry may apply today, but will certainly be more pronounced in the future Tribulation. All Things Possible. A rich young man came to Jesus one day and asked:”Teacher, what good thing shall I do that I may obtain eternal life?” (Matthew 19:16, page 1535). Jesus answered that only God is good, implying that the rich young man was not good because he was not God. Furthermore, Jesus explained that the rich young man could obtain eternal life by selling his possessions and following Jesus . The rich young man went away grieved because he was very rich. Jesus taught that it is easier for a camel to go through the eye of a needle than for a rich man to enter the kingdom of heaven. The disciples were astonished, and questioned who could be saved? Jesus replied that with people this is impossible, but with God all things are possible. A believer with The Spiritual Gift of Teaching may have a ministry: (a) to the confident rich, calling them to sell all their possessions and follow Him; and (b) to the self-righteous, calling them to forsake all human attempts to keep the Law as the basis for salvation by any type of works. Only by following Jesus will God accept anyone into the kingdom of heaven. With God, all things are possible (Matthew 19:16-26, page 1535; see also Matthew 22:34-40, pages 1541-1542; Mark 9:17-31, pages 1577-1578). Do Not Hinder. Jesus had just finished teaching His disciples about the Pastoral Heresy and the desire to be first. Jesus had set a child in front of them and told them to be like that child and receive the child as one receives Jesus. The disciples then saw someone casting out demons in the name of Jesus, but he was not following the disciples and Jesus. Therefore, the disciples tried to prevent him from casting out demons in the name of Jesus. Jesus replied to His disciples: “Do not hinder him, for there is no one who will perform a miracle in My name, and be able to soon afterwards to speak evil of Me. For who is not against us is for us.” Jesus taught further that anyone who gave them a cup of water because they were followers of Christ would not lose reward. Jesus then warned His disciples about causing little ones to stumble, and how unbelievers would suffer greatly in the unquenchable fire of hell (Mark 9:38-49, pages 1576-1577). Jesus educated the disciples about people operating in His name. Jesus knew that evil people could cast out demons to deceive unbelievers, but Jesus also warned His disciples not to hinder people casting out demons in His name. Rank in the Kingdom of God. James and John, the sons of Zebedee, asked Jesus: “Teacher, we want you to do for us whatever we ask of You.” They sought to sit on His right and left hand in His glory. In other words, they wanted the best places of highest honor for themselves. Jesus replied that it was not His to give; but it was prepared for chosen people. Then Jesus explained that anyone wishing to be first in the kingdom of God, must first be a slave of all. Jesus Himself did come to be served, but to serve, and to give His life a ransom for many (Mark 10:33-45, pages 1578-1579). A believer with The Spiritual Gift of Teaching may have a ministry of teaching believers that rank in the kingdom of God rests upon being a slave of all and following the example of Jesus, by giving his life in service to God. The Man Born Blind. Jesus met a man born bind. His disciples questioned whether the blindness originated from the sin of the man or the sin of his parents. Jesus explained that neither explanation was true, but the blindness was so that the works of God might be displayed in him. Jesus healed the man, and then his parents denied knowledge about the healing. The blind man, then seeing, gave testimony to the healing power of Jesus. The religious leaders objected to the healing because Jesus healed on the Sabbath. In the end, the religious leaders expelled the man from the synagogue, but he continued to speak about Jesus. The religious leaders condemned the man for “teaching” (“διδάσκεις”) them about Jesus and His power to heal (John 9:1-41, pages 1673-1675). A believer with The Spiritual Gift of Teaching may have a ministry of teaching people about Jesus by demonstrating that Jesus opened his blind eyes so that people may see the works of God in his life and so glorify God and turn to Jesus for salvation and life. Foods. Believers must avoid being carried away by varied and strange teachings concerning foods. Believers must remember that it is good for the heart to be strengthened by grace, not by foods, through which those who were so occupied were not benefited (Hebrews 13:9, page 1886). A believer with The Spiritual Gift of Teaching may have a ministry of teaching believers about the value of strange teachings concerning food that do not truly benefit the heart. Woes. Jesus pronounced woes upon the Pharisees because they cleaned the outside of the cup, but inside they were full of robbery and wickedness. They tithed of garden herbs, but disregarded justice and the love of God. Then one of the lawyers said: “Teacher, when You say this, You insult us too.” Jesus then pronounced woes upon the lawyers because they laid heavy burdens upon people, but never touched them themselves. They approved the evil deeds of their fathers in killing the prophets. They also have taken away the key of knowledge, they did not enter, and they hindered those who were entering (Luke 10:45-52, page 1623). A believer with The Spiritual Gift of Teaching may have a ministry of teaching religious people that God has pronounced woes upon them, even though they find the teaching of Jesus insulting. Greed. A man from the crowd wanted Jesus to act as Judge: “Teacher, tell my brother to divide the family inheritance with me.” Jesus answered: “Man, who appointed Me a judge or arbitrator over you?” Jesus then explained the problem of greed. According to Jesus, no matter how much a man may have in earthly abundance, his life will never consist of his possessions. People must become rich toward God and not worry about food and clothing. God loves you and knows the things you need. Seek God first and His kingdom, and all the earthly things you need will be added to you. (Luke 12:13-48, pages 1624-1626). A believer with The Spiritual Gift of Teaching may have a ministry of teaching people about greed, food and clothing. People must seek the kingdom of God first, and all other things will be added to them. The Purpose of the Law. The Law, and its sacrifices in particular, served as a reminder of how sinful people truly are. They sin and, therefore, they need a Savior, Jesus Christ. Paul explained that the Law was made for the rebellious, for the unGodly and sinners, for the unholy and profane, for those who kill their fathers or mothers, for murderers and immoral men and homosexuals and kidnappers and liars and perjurers, and whatever else is contrary to sound teaching, according to the glorious gospel of the blessed God, with which Paul has been entrusted (1 Timothy 1:8-11, page 1854). A believer with The Spiritual Gift of Teaching may have a ministry teaching sound doctrine, with a particular emphases upon exposing and confronting the evil behaviors described above. Pious Unbelief. Nicodemus, a Pharisee, teacher of Israel and a ruler of the Jews came to Jesus by night and made a five-point declaration to Jesus: (a) you deserve the title “Rabbi;” (b) you have come from God; (c) you are a teacher; (d) you do signs; and (e) God is with you. Nicodemus sounded like a very pious man, steeped in his religion. Jesus answered Him: “Truly, truly, I say to you, unless one is born again he cannot see the kingdom of God.” Nicodemus expressed his shock and amazement. Jesus lovingly explained to him the way of salvation by faith in Jesus alone. A believer with The Spiritual Gift of Teaching may a ministry of teaching very pious unbelievers that they have not been born again and so will not enter the kingdom of God. They must be born again to enter the kingdom of God, no matter how many nice things they believe about Jesus. 55.1 Not To Allow Women To Teach or Exercise Authority of over Men. Paul reminded Timothy that Paul did not “allow a woman to teach or exercise authority over a man, but to remain quiet” (1 Timothy 2:12, page 1856). Paul then cited theological reasons for that doctrine. The context of 1 Timothy 2:1-11 contrasts men and women, not husbands and wives as some claim. Paul directed that men should be lifting up holy hands as they pray. He was not focusing upon husbands, but men in every place (1 Timothy 2:8, page 1855). Likewise, Paul urged the women to adorn themselves with proper clothing, modestly and discreetly, not with braided hair and gold pears or costly garments, but with good words, and is proper for women making a claim to godliness. Furthermore, a woman must quietly receive instruction with entire submissiveness (1 Timothy 2:9-10, page 1855). Therefore, Paul did not allow (“οὐκ ἐπιτρέπω“) a women (“γυναικὶ “) to teach a man (“αὐθεντεῖν ἀνδρός“) or exercise authority (“εἶναι ἐν ἡσυχίᾳ“) over a man (1 Timothy 2:12). 55.2 The Order of Creation. Paul emphasized that Adam was first created, and then Eve. Because of that order of creation, a woman should not teach or exercise authority over a man. 55.3 Eve Deceived. In the Garden of Eden, Eve was deceived and so fell into transgression; Adam also sinned, but was not deceived. Because of the woman being deceived, when the man was not deceived, a woman should not teach or exercise authority over a man. 55.4 Female Ministry. While born-again women have vital ministries in the church because of their spiritual gifts, and are of equal value to men in the eyes of God, God left distinct commands for women to follow regarding their activities in the church. A believer with The Spiritual Gift of Teaching may have a ministry of teaching believers about the proper role of women in the church, and the need for women not teach men or exercise authority over men. Women must quietly receive instruction with entire submissiveness (see also 1 Corinthians 14:34-36, page 1806). Greatly Disturbed. Peter and John entered the portico of Solomon one day. Peter preached about Jesus, and was teaching the people and proclaiming in Jesus the resurrection of the dead. The priests and other religious leaders became greatly disturbed (“διαπονούμενοι”) by the preaching. The religious leaders seized them, and placed them on trial before the rulers, elders, scribes and those of high priestly descent. Filled with the Holy Spirit, Peter preached Jesus to them too. The council then threatened them further about preaching and teaching in the name of Jesus, but they replied: “Whether it is right in the sight of God to give heed to you rather than to God, you be the judge; for we cannot stop speaking about what we have seen and heard” (Acts 4:12-31, pages 1705-1706). The apostles filled Jerusalem with their teaching in the name of Jesus, and suffered beatings and imprisonment (Acts 5:28, Page 1708). A believer with The Spiritual Gift of Teaching may have a ministry of preaching and teaching in the name of Jesus, particularly about His resurrection and the free gift of salvation, in the face of stiff opposition and persecution from religious leaders. Jesus and Opposition. Jesus prophesied concerning His death, burial and resurrection (Matthew 16:13-23, page 1530; Mark 8:31, page 1573; Mark 9:31, page 1576; John 7:32-39, page 1669). Death did not surprise Jesus, but He taught His disciples about His death before His hour came. Even knowing that His enemies sought to destroy Him, Jesus continued teaching daily in temple (Luke 19:45-48, page 1640). Previously Jesus had avoided Judea because the Jews there were seeking to kill Him (John 7:1, page 1667). Likewise, Paul and his companions often fled from persecution and moved on to the next city (Acts 9:24-25, page 1717; Acts 12:17-19, page 1723; Acts 14:1-7, page 1727; Acts 14:19-20, page 1728; Acts 17:1-10, pages 1733-1734; Acts 17:13-15, page 1734). Knowing that His time had come, Jesus steadfastly taught daily in the temple, even knowing His crucifixion and resurrection were near. A believer with The Spiritual Gift of Teaching may have a ministry of teaching in hostile environments, with knowledge about when to flee persecution and when to remain. 58.1 Unbelievers Teaching. John warned about teachers who deceive people by denying that Jesus came into the world in the flesh. Such false teachers are the deceiver and the anti-Christ. If anyone does not abide in the teaching of Christ, and brings a teaching contrary to the teaching of Christ, then believers must not receive him into their houses or give him a greeting. fI they do greet him, then they participate in his evil deeds (1 John 1:6-11, page 1910). A believer with The Spiritual Gift of Teaching may have a ministry of teaching believers to avoid housing or speaking to false teachers who bring teaching contrary to the teachings of Christ. 58.2 Turn Away. Paul also warned believers to turn away from people who cause dissensions and hindrances contrary to the teaching which they learned from the apostles (Romans 16:17, page 1781). Likewise, believers must keep away from every brother who lives an unruly life not according to the tradition received from the apostles (2 Thessalonians 3:6, page 1853). A believer with The Spiritual Gift of Teaching may have a ministry of teaching believers to turn away from people causing dissensions and hindrances and to keep away from every brother living an unruly life. The Scourge. Jesus entered the temple and drove out the people buying and selling in the temple, and overturned the tables of the money changers and the seats of those selling doves (Mark 11:15, page 1580). Then Jesus began to teach them about the word of God: “My house shall be called a house of prayer for all the nations.” Jesus then applied the passage from the Old Testament to the people of commerce in the temple. Jesus taught them: “But you have made it a a robber’s den.” A believer with The Spiritual Gift of Teaching may teach after forcefully applying the word of God, drawing upon the Scripture as the authority for forceful action. Strange Doctrines. Paul urged (“παρεκάλεσά“) Timothy to remain at Ephesus so that he may instruct (“παραγγείλῃς”) certain men not to teach strange doctrines (“ἑτεροδιδασκαλεῖν“)(1 Timothy 1:3, page 1854). A believer with The Spiritual Gift of Teaching may have a ministry of teaching people not to teach strange doctrines. Demon Possession. As Jesus descended from the Mount of Transfiguration, a man approached Jesus and said His disciples were unable to cast out the demon from his son. Jesus answered: “O unbelieving generation, how long shall I be with you? How long shall I put up with you (“ἀνέξομαι”)? Bring him to Me.” Jesus linked faith in Jesus with the power to overcome demons. As a generation, despite the miracles of Jesus and His demonstrated power over demons, people still lacked faith in Jesus to overcome demons. Jesus also overcame doubts about His power: “If you can? All things are possible to him who believers.” The boys father responded, “I do believe; help my unbelief.” Like the disciples of Jesus in the boat during the storm, the father of the demoniac son had some faith in Jesus, but no faith that Jesus could cast out the demon. Jesus cast out the demon and the boy lived. Jesus explained privately to His disciples that this kind of demon (“οῦτο τὸ γένος“) cannot come out by anything but prayer. (Mark 914-29, page 1575; Luke 9:37-45, page 1617; Matthew 17:14-23, pages 1531-1532). Jesus had power over all demons and frequently cast them out. A believer with The Spiritual Gift of Teaching may have a ministry of teaching people with demoniacs in their families, or in their lives, about the power of Jesus to cast out demons, but they must have faith in Jesus and His power. Furthermore, disciples must be taught that some kinds of demons only come out through prayer. Deceitful Spirits and the Doctrines of Demons. In the later times, some will fall away (“ἀποστήσονταί”) from the their faith by paying attention to deceitful spirits (“πνεύμασιν πλάνοις“) and the doctrines of demons (“δασκαλίαις δαιμονίων“) (1 Timothy 4:1, page 1857). Timothy must stand against such evil forces and evil doctrines. Timothy must prescribe and teach sound doctrine of Christ, the Savior of all men, especially of believers (1 Timothy 4:6-16, page 1857). 63.1 Trappers. Certain men in the New Testament thought they might trap (“ἀγρεύσωσιν”) Jesus in what He said and taught. Regarding the payment of the poll tax, the Trappers thought they could trap Jesus with any answer He gave regarding paying a tax to the Roman government, which the Jews hated (Mark 12:13-17, page 1582; compare Luke 20:19-26, page 1641). They thought that if: (1) Jesus said pay the tax, then the Jew would hate Him; or (2) if Jesus said do not pay the tax, the Romans would arrest Him for rebellion. Either answer, the Pharisees and Herodians (who promoted the dynasty of Herod, the Jewish ruling pawns of the Romans) thought they had Jesus. So, they asked Jesus: “Is it lawful to pay the poll-tax or not?” They had just said that Jesus was truthful and not partial to any, but He taught the way of God in truth (Mark 12:14, page 1582; Luke 20:19-27, page 1641). Jesus used their question to confront them with their own hypocrisy and to teach them about God. Jesus first asked them: “Why are you testing (“πειράζετε”) Me?” He requested a denarius. Holding the coin, Jesus then asked His second question: “Whose likeness inscription and inscription is this?” They replied: “Caesar’s.” Jesus taught everyone listening: “Render to Caesar to the things that are Caesar’s and to God the things that are God’s.” They were amazed at His answer. They also looked like the hypocrites they were, and they were taken in their own trap. The believer with the Spiritual Gift of Teaching may have the ministry of teaching Trappers who try to trap Jesus, but end up trapping themselves in their hypocrisy and false teaching. 63.1 Fish Tax. Tax collectors asked Peter if Jesus paid the two-drachma tax. Peter replied: “Yes.” Later Jesus asked Peter about the human practice of collecting customs or poll-tax. Peter answered that they collected such taxes from strangers, not their sons. Jesus then said that the sons are exempt. But to avoid offending them, Jesus directed Peter to throw a hook into the sea, take the fish that comes up, open its mouth, find a shekel there, and give it to the tax collectors for both Peter and Jesus (see also Romans 13:1-10, pages 1776-1777). A believer with The Spiritual Gift of Teaching may have a ministry of teaching the payment of taxes to the government to avoid offending them. 64.1 False Teachers. Jesus wrote to the church at Pergamum that some of the people there held to the teaching of Balaam, and who kept the teaching Balak to put a stumbling block before the sons of Israel, particularly to eat things sacrificed to idols and to commit acts of immorality (Revelation 2:14, page 1916).They also had some people who held the teaching of the Nicolaitans (Revelation 2:15, page 1916). They also tolerated the woman Jezebel, who called herself a prophetess, and taught and lead the bond-servants of Jesus astray so that they committed acts of immorality and ate things sacrificed to idols. Some people also held to the deep things of satan, as they called them (Revelation 2:24, page 1917). God promised to bring strong judgment upon her and throw her into great tribulation, along with those people who commit adultery with her, unless they repent of her deeds (Revelation 2:18-29, pages 1916-1917). A believer with The Spiritual Gift of Teaching may have a ministry of removing stumbling blocks caused by the teaching of false teachers, calling upon people to repent and abandon the false teaching and false teachers. 64.2 Teaching Circumcision. Some men came to Jerusalem and taught (“ἐδίδασκον”) the brethren that no one could be saved unless they were circumcise according to the custom of Moses (Acts 15:1, page 1728; see also Acts 21:17-26, pages 1741-1743). The Jews even charged that Paul “preaches” (“διδάσκων”) to all men everywhere against the Jews, the Law and the temple (Acts 21:27-28). This false teaching of the religious leaders that salvation required keeping he Law undermined the free gift of salvation by grace through faith alone. Paul was not taught The Gospel of Jesus Christ, but received it by revelation directly from Jesus (Galatians 1:12, page 1819). Jesus fulfilled the requirements of the Law for everyone who believes (Matthew 5:19, page 1507). A believer with The Spiritual Gift of Teaching may have a ministry of teaching the truth about salvation by faith alone, and dispelling any false teaching that believers today must keep the Law of Moses for salvation. 64.3 The Sabbath Controversies. Jesus faced opposition from religious leaders who opposed His disciples picking the heads of grain and eating grain on the Sabbath (Luke 6:1-5, page 1606). Likewise, religious leaders also opposed Jesus healing people on the Sabbath, even though they watered their animals on the Sabbath and rescued their sheep from danger on the Sabbath (Luke 6:6-111, page 1607; Luke 12:10-17, page 1627; Matthew 12:1-14, pages 1519-1520; Mark 2:23-27, page 1561). As Lord of the Sabbath, Jesus taught that the Sabbath was made for man, and not the man for the Sabbath (Luke 6:5, page 1606; Matthew 12:8, page 1520 Mark 2:28, page 1561). A believer with The Spiritual Gift of Teaching may have a ministry of teaching people about freedom from the Law of Moses regarding the Sabbath, but to embrace the Lord of the Sabbath, and His salvation, by faith alone. 64.4 Instructed To Spread Lies. In order to lie about the resurrection of Jesus Christ, the chief priests concocted a story for the soldiers guarding the body of Jesus: “The disciples of Jesus stole His body while we were asleep” (Matthew 28:12-13,page 1557). If anyone asked what happened to the body of Jesus, guarded by the soldiers, they were to tell the lie. The soldiers did as they were instructed (“ἐδιδάχθησαν”) and took the money. That lie was spread very widely. A believer with The Spiritual Gift of Teaching may have a ministry of teaching the truth when faced with many lies about Jesus taught by unbelievers. Sordid Gain. Some rebellious men, empty talkers and deceivers, proclaiming that one must follow the Law of Moses, were teaching things which were upsetting whole families. They must be silenced. Sordid gain (“αἰσχροῦ κέρδους“) motivated them to spew forth false teaching (Titus 1:11, page 1866). A believer with The Spiritual Gift of Teaching may have a ministry of silencing false teachers who upset entire families, motivated by sordid gain. 66.1 Death, Burial, Resurrection. Jesus taught His disciples about His impending arrest, death and resurrection (Mark 8:31, page 1573; Mark 9:31, page 1576). He also told the Jews that they would seek Him, but would not find Him; where He was going, they cannot come. The Jews then asked if Jesus was going to the Dispersion and teach the Greeks (John 7:32-39, page 1669). A believer with The Spiritual Gift of Teaching may have a ministry of teaching about the death, burial, and resurrection of Jesus, with an emphasis upon telling unbelievers that they will not go to heaven where Jesus lives. 66.2 Peter’s Rebuke. After Jesus explained that He must suffer and die, Peter took Jesus aside and rebuked Him. Peter had just confessed Jesus as the Christ, the Son of God. Jesus said that flesh and blood had not revealed such knowledge to Peter, but rather the Father revealed His Son, Jesus, to Peter. So often, our interpretations of previous revelations hinder us from grasping further revelations from God. In this case, Peter believed Jesus was the Christ, but, in Peter’s mind, the Christ would not die. So, Peter rebuked Jesus when Jesus told Peter that Jesus must die (Matthew 16:13-23, page 1530). A believer with The Spiritual Gift of Teaching may help believers to understand the revelation of God contained in the Scriptures and overcome their faulty interpretations of Scripture that hinder them from further spiritual growth and development. 66.3 Future Things. As Jesus was going out of the temple one day, Jesus taught His disciples about the future. Jesus highlighted future events that He placed into three basic time frames: (a) before the Tribulation; and (b) the Tribulation and the ABOMINATION OF DESOLATION; and (c) after the Tribulation (Mark 13:1-37, page 1584-1586; Matthew 24:1-25:46, page 1544-1549; Luke 21:5-36, page 1642-1644). Jesus provided the revelations for the future so that believers today will be on guard, and their hearts will not be weighed down with dissipation and drunkenness and the worries of life. As believers, we live on the alert, praying for strength. A believer with The Spiritual Gift of Teaching may have a ministry of teaching about future events, with an emphasis upon living today without worries, while spreading the Gospel of Jesus Christ. 67.1 Priscilla and Aquila. Priscilla and Aquila heard Apollos speak out boldly in the synagogue. He was an Alexandrian by birth, and a man mighty in the Scriptures. He taught fervently and accurately the things about Jesus, but had heard only about the baptism of John. Priscilla and Aquila took him aside, and explained (“ἐξέθεντο”) to him the way of God more accurately (Acts 18:25-26, page 1737). A believer with The Spiritual Gift of Teaching may have the ministry of teaching teachers the way of God more accurately. 67.2 Paul and Barnabas. Barnabas, called the Son of Encouragement, had a vital ministry with Saul of Tarsus, also know as Paul the apostle. Saul of Tarsus persecuted the church until Jesus appeared to him on the Damascus Road and saved Saul. Saul began to preach Christ in Damascus, in the very synagogue where he was originally going to seek out Christians and bring them bound to Jerusalem. He had previously witnessed with approval the stoning of Stephen for his ministry in the name of Jesus. The Christians who knew Saul feared him as a great persecutor of the Church. Barnabas, however, drew near to Saul, heard about his conversion and preaching in Damascus, and introduced him to the apostles in Jerusalem. Later, Barnabas went to Antioch for ministry. While the ministry at Antioch grew, Barnabas went to Tarsus and brought Saul to Antioch, where they ministered together. From Antioch, Barnabas and Saul went on their first missionary journey. Barnabas taught Paul many tings about how to serve Christ, although Paul received the Gospel directly from Jesus Christ (Acts 7:54-14:28, pages 1713-1728; Galatians 1:11-12, page 1819). In turn, Paul also taught Timothy, Titus and many others how to serve Christ. A believer with The Spiritual Gift of Teaching may have a ministry of teaching believers how to accept new believers with evil backgrounds, and how to build ministry teams with new believers. 67.3 Hypocrites. Paul confronted the religious teachers of his day with a question: “Did they expect that they were immune from the the very judgment they passed upon others practicing the same evil the judges themselves practiced?” (Romans 2:3, page 1760). Paul warned the Jewish teachers that they were hypocrites who taught the Law. Although they taught the immature, they themselves did not keep the Law they taught to others. Those teachers needed to learn about circumcision of the heart, by the Spirit, and not by the letter of the Law (Romans 2:17-29, pages 1760-1761). Their hypocrisy posed a significant problem. A believer with The Spiritual Gift of Teaching may have the ministry of confronting self-righteous judges with the fact that they will be judged by the same righteous standard by Jesus, the Righteous Judge, one day; therefore, they should be gracious and holy today. 68.1 Apt To Teach. The male believers who hold the office of Elder in the local church must be apt to teach as part of their qualifications (1 Timothy 3:2, page 1856). While the Elder does not have to have The Spiritual Gift of Teaching, he should be apt to teach (“διδακτικόν”). A believer with The Spiritual Gift of Teaching may have a ministry of teaching elders how to teach and what to teach, so that the Elders will be more effective teachers. 68.2 Double Honor. Not all believers holding the office of Elder have The Spiritual Gift of Teaching. Yet, all elders must be apt to teach, as above. Because the local assembly should have a plurality of elders, and some of those elders will work hard at preaching and teaching, they should be afforded double honor (2 Timothy 5:17, page 1858). We learn from that passage that not all elders teach and preach, but they will be using their own spiritual gifts to the glory of God. Perhaps they should be afforded double honor also, but the passage remains silent about such honors for those Elders who are not working hard at preaching and teaching. A believer with The Spiritual Gift of Teaching may have a ministry of teaching believers about the plurality of elders in the local assembly, and the need to afford double honor to elders who work hard at preaching and teaching. This study of The Spiritual Gift of Teaching highlights the basics of what is The Spiritual Gift of Teaching and how would I know if I had it. You must always search the Scriptures to understand any spiritual gift, and then see if you have any of those ministries in your life. We must trust the leading of the Holy Spirit in our lives to help us fulfill our ministries. This study was never intended to be an exhaustive review of all ministries of The Spiritual Gift of Teaching, but it opens the door to understanding The Spiritual Gift of Teaching. Teaching: Understanding the Spiritual Gift. The believer with the Spiritual Gift of Teaching explains and applies the Scriptures. This spiritual gift has a very broad scope and many ministries. As above, the ministry of teaching may take many forms, and produce a variety of effects. I have listed a some of those hallmarks below. ♦ Teaching-gifted believers often preach and teach. ♦ Teaching-gifted believers teach with authority when the teach and apply the Scriptures accurately. ♦ Teaching-gifted believers should never be addressed as “Teacher Joe” or with any other title. ♦ Teaching-gifted believers may have a ministry of teaching the priority of the Scriptures (only Old and New Testaments). ♦ Teaching-gifted believers may have a teaching ministry of the sayings of Jesus. ♦ Teaching-gifted believers may have a teaching ministry of announcing resurrection. ♦ Teaching-gifted believers may have a teaching ministry about salvation. ♦ Teaching-gifted believers may have a teaching ministry about the King. ♦ Teaching-gifted believers may have a teaching ministry of the Lordship of Christ. ♦ Teaching-gifted believers may have a teaching ministry of the ways of Christ. ♦ Teaching-gifted believers may have a teaching ministry of know the Lord. ♦ Teaching-gifted believers may have a teaching ministry of following Jesus. ♦ Teaching-gifted believers may have a teaching ministry about resurrection. ♦ Teaching-gifted believers may have a teaching ministry of Jesus cares. ♦ Teaching-gifted believers may have a teaching ministry of the Name of Jesus. ♦ Teaching-gifted believers may have a teaching ministry about the Holy Spirit. ♦ Teaching-gifted believers may have a teaching ministry about Spiritual Gifts. ♦ Teaching-gifted believers may have a teaching ministry about loving God. ♦ Teaching-gifted believers may have a teaching ministry of truth and faith. ♦ Teaching-gifted believers may have a teaching ministry about the priority of Scripture. ♦ Teaching-gifted believers may have a teaching ministry of astonishing wisdom. ♦ Teaching-gifted believers may have a teaching ministry of amazaing authority. ♦ Teaching-gifted believers may have a teaching ministry of distinguishing the precepts of men from the doctrine of God. ♦ Teaching-gifted believers may have a teaching ministry to tax collectors and sinners. ♦ Teaching-gifted believers may have a teaching ministry of traveling. ♦ Teaching-gifted believers may have a teaching ministry with a home base. ♦ Teaching-gifted believers may have a teaching ministry of crowds. ♦ Teaching-gifted believers may have a teaching ministry of seaside sermons. ♦ Teaching-gifted believers may have a teaching ministry of the new self. ♦ Teaching-gifted believers may have a teaching ministry of rooted and grounded in Jesus. ♦ Teaching-gifted believers may have a teaching ministry of elementary things. ♦ Teaching-gifted believers may have a teaching ministry of standing firm. ♦ Teaching-gifted believers may have a teaching ministry of hope. ♦ Teaching-gifted believers may have a teaching ministry of prayer. ♦ Teaching-gifted believers may have a teaching ministry of crying out. ♦ Teaching-gifted believers may have a teaching ministry of perseverance. ♦ Teaching-gifted believers may have a teaching ministry with impartiality. ♦ Teaching-gifted believers may have a teaching ministry of compassion. ♦ Teaching-gifted believers may have a teaching ministry not based upon appearance. ♦ Teaching-gifted believers may have a teaching ministry of nature. ♦ Teaching-gifted believers may have a teaching ministry about slaves of righteousness. ♦ Teaching-gifted believers may have a teaching ministry about masters. ♦ Teaching-gifted believers may have a teaching ministry about disciples. ♦ Teaching-gifted believers may have a teaching ministry about complete in Christ. ♦ Teaching-gifted believers may have a teaching ministry about signs and wonders. ♦ Teaching-gifted believers may have a teaching ministry about all things possible. ♦ Teaching-gifted believers may have a teaching ministry about doing miracles in the name of Jesus. ♦ Teaching-gifted believers may have a teaching ministry about rank. ♦ Teaching-gifted believers may have a teaching ministry of sight. ♦ Teaching-gifted believers may have a teaching ministry about foods. ♦ Teaching-gifted believers may have a teaching ministry of woes. ♦ Teaching-gifted believers may have a teaching ministry about greed. ♦ Teaching-gifted believers may have a teaching ministry about sin. ♦ Teaching-gifted believers may have a teaching ministry about pious unbelief. ♦ Teaching-gifted believers may have a teaching ministry not to allow women to teach or exercise authority over men. ♦ Teaching-gifted believers may have a teaching ministry of disturbing the religious establishment. ♦ Teaching-gifted believers may have a teaching ministry with opposition. ♦ Teaching-gifted believers may have a teaching ministry about not participating in false teaching. ♦ Teaching-gifted believers may have a teaching ministry of force. ♦ Teaching-gifted believers may have a teaching ministry against strange doctrines. ♦ Teaching-gifted believers may have a teaching ministry about demons. ♦ Teaching-gifted believers may have a teaching ministry against the doctrine of deceitful spirits and the doctrine of demons. ♦ Teaching-gifted believers may have a teaching ministry to trappers. ♦ Teaching-gifted believers may have a teaching ministry of removing stumbling blocks. ♦ Teaching-gifted believers may have a teaching ministry about sordid gain. ♦ Teaching-gifted believers may have a teaching ministry of preparing for the future. ♦ Teaching-gifted believers may have a teaching ministry to teachers. ♦ Teaching-gifted believers may have a teaching ministry to elders.